When I was little, pretty much everything I owned was Lisa Frank - pencils, erasers, folders, notebooks - everything was brightly colored, sparkly, and had a slight cheetah vibe. 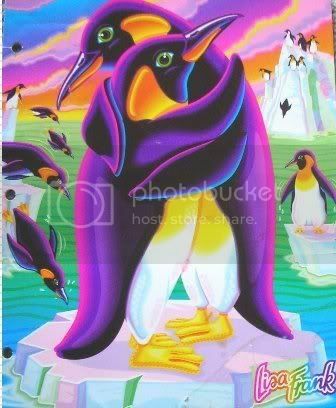 For today's challenge, I was inspired by some of my old Lisa Frank stuff. I searched for images online and found these that I distinctly remember having. 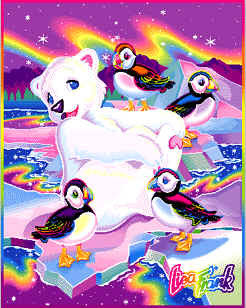 I wish Lisa Frank would make a comeback. I feel like it's way cooler than whatever the kids now have. Anyways, I'm rockin' some sweet nails, which will hopefully bring back this forgotten treasure. I started off with a layer of the Sally Hansen Crystal Ball holo. The colors I wanted to use are a little see-through, so I figured a layer of this stuff would make them pop! After it dried, I painted diagonal stripes of each color (Pixel Pretty, Byte, Hi-Def, and Lite). They're a little messy, but that doesn't matter too much. For the accent nail I used a leftover sticker. Once everything was dry, I added a layer of Northern Lights for a bit of sparkle and stamped on the cheetah print.